TALLAHASSEE, Fla. – (RealEstateRama) — FEMA and home improvement retailers in Leon County are teaming up Jan. 24-29 to provide free information and literature on making homes stronger and safer, as Floridians repair or rebuild their homes damaged by Hurricane Michael. 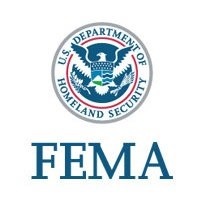 FEMA specialists will be on hand in Tallahassee to answer questions and offer home improvement guidance with proven methods to prevent or reduce damage from future disasters. Most of the information and the free publications are tailored for do-it-yourself work and general contractors. Advisors will be available at the following stores 8 a.m. to 5:30 p.m. Thursday, Friday, Monday and Tuesday. Saturday 9 a.m. to 1 p.m. Advisors will not be available on Sunday. Find more information about strengthening property at fema.gov/protect-your-property. FEMA specialists can provide general guidance regarding flood insurance policies and offer technical assistance to aid in recovery. To get in touch with FEMA, call the Helpline at 800-621-3362 or 800-462-7585 (TTY). Multilingual operators are available. Operators are on duty from 7 a.m. to 10 p.m. seven days a week until further notice.